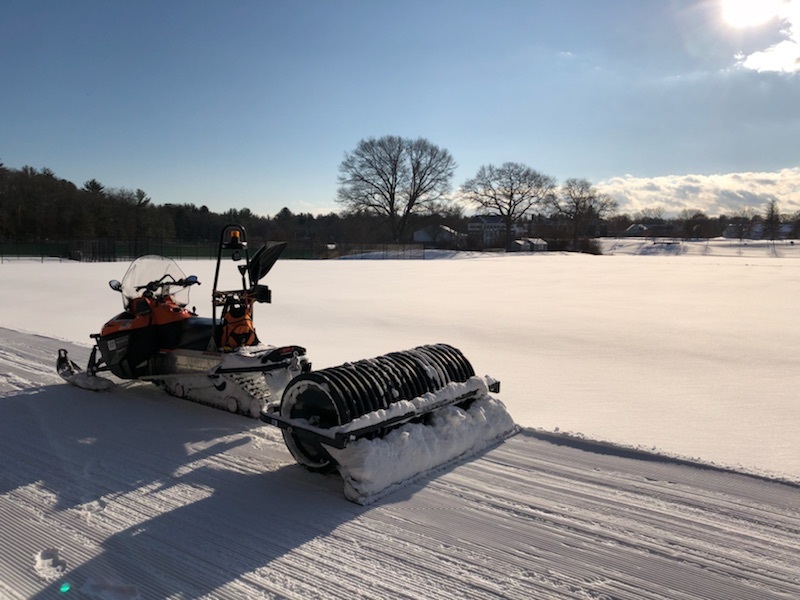 Board member Jim Trudeau snuck away from holiday festivities early afternoon to groom Pingree, and he reports wide, firm corduroy. Great for skating or classic. He was able to come back again tonight for second pass and added classic tracks. Blowing snow may fill in some of the sections in the open fields. Check back tomorrow for additional updates. Happy Holidays from North Shore Nordic!